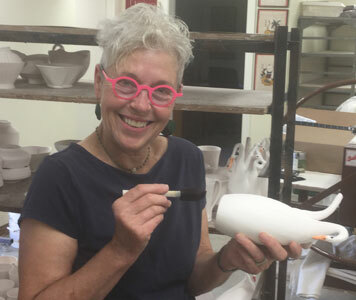 After 30 years of living and making pottery in her studio next to the Little River, Silvie has relocated to a new home and studio at 1145 Rock Church Rd in Meadows of Dan, Virginia. You are welcome to visit the gallery and will find a sign at the bottom of the driveway identifying Silvie’s studio. 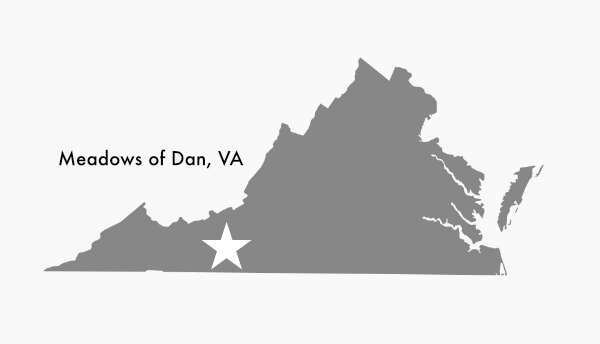 This location affords great vistas of the Blue Ridge Mountains. The location is close to the Chateau Morrisette and Villa Appalaccia wineries, as well as the FloydFest music festival site right on the Blue Ridge Parkway. Architect Celeste Lee designed the studio and Donovan Palmquist built the kilns. Turn RIGHT into the driveway.